Okay so we are excited to announce that we will be bringing Boho’s Best Festival Ever: How To Manage A Disaster to Canberra this August. We’ll be at the Street Theatre for two weeks over 12 – 22 August. This will be the first Boho show in Canberra since Word Play in 2013, and the first presentation of Best Festival Ever in Australia. After premiering the show last year with seasons at the Battersea Arts Centre, the London Science Museum and the Stockholm Resilience Centre, we’re really stoked to be bringing this one home. Best Festival Ever: How To Manage A Disaster places the audience in charge of programming and managing their very own music festival. 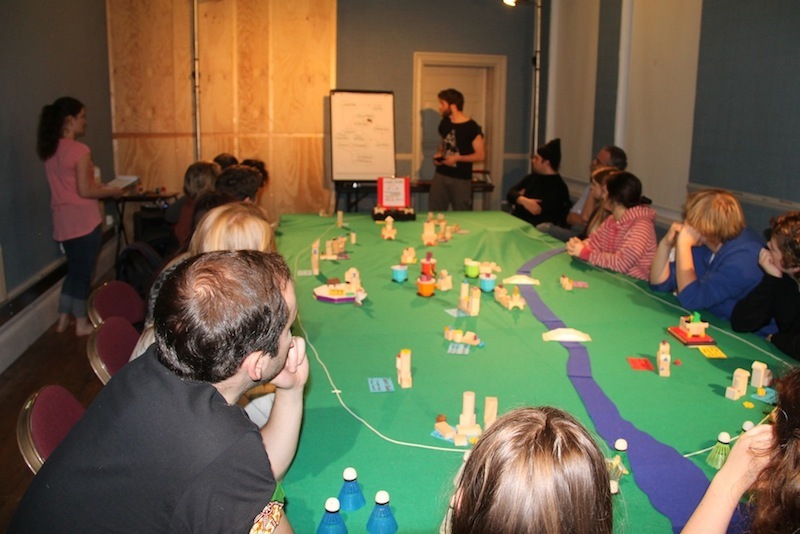 Seated around a table, participants take charge of designing, constructing and managing their festival from beginning to end. From taking care of rowdy campsite parties to assembling the perfect lineup of bands, from dealing with artist tantrums to preventing fights in the moshpit, the audience experience every part of the festival manager’s ride. 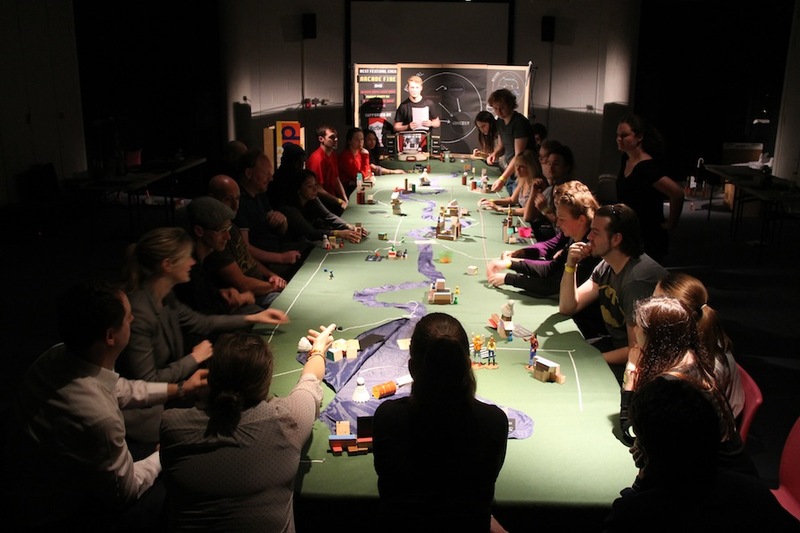 Part theatre show, part performance lecture and part boardgame, Best Festival Ever introduces participants to concepts from Systems Science and asks how we can best understand and manage the complex systems we live in. Each of the Canberra shows will feature a conversation with a guest scientist talking about the ideas in the work, including Dr Will Steffen (Climate Council), Dr Bob Costanza (ANU) and Dr Nicky Grigg (CSIRO). Following the conclusion of Big Day Out, Harvest, Future Music, Stereosonic, the Great Escape and Parklife Festivals, this might be your last chance to experience a music festival in Australia: jump on board. David here with a final wrap-up note at the end of the first Best Festival Ever season. After 17 shows in 9 venues in London and Stockholm, we’ve finished the show’s first tour and returned to Australia for a break – as well as to plan and prepare for the project’s next phase. 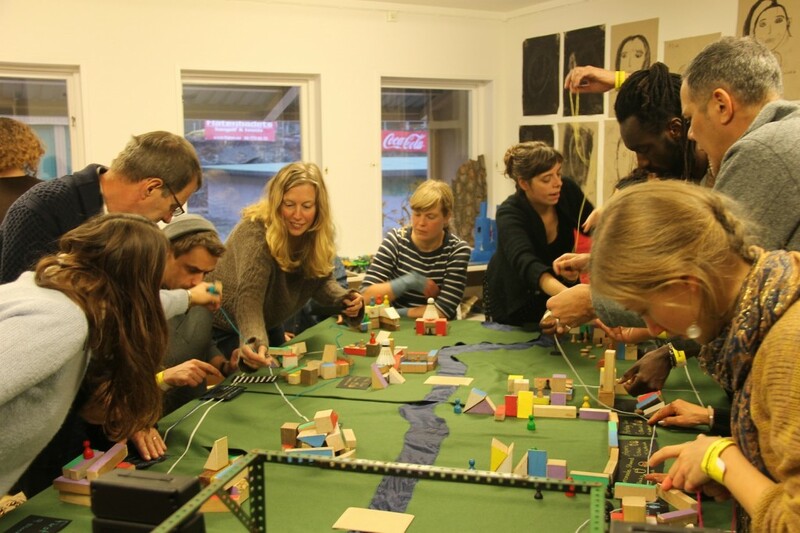 Over November, we presented the show at venues including the Battersea Arts Centre, the London Science Museum, Central St Martins, Kings College London, Forum for the Future, Zone Creative Agency, Färgfabriken, Miljöverkstan and the Stockholm Resilience Centre. We shared the work with theatre audiences, scientists, high school students, sustainable development post-grads, researchers, festival-makers, urban planners, museum staff and corporate groups. Perhaps the most satisfying part of the work for me was the discussions with the audience we held after the show. For our Science Museum season, scientists Yvonne Rydin, James Millington, Chris Brierley and Emily Lines presented short talks after the shows, discussing their own work in relation to the systems science ideas in Best Festival Ever. The conversations about sustainability, planning, climate change and complex systems were incredibly rewarding to listen to. That’s it for Best Festival Ever in 2014. In 2015 we’ll be looking at further tours for the show both within Australia and overseas. 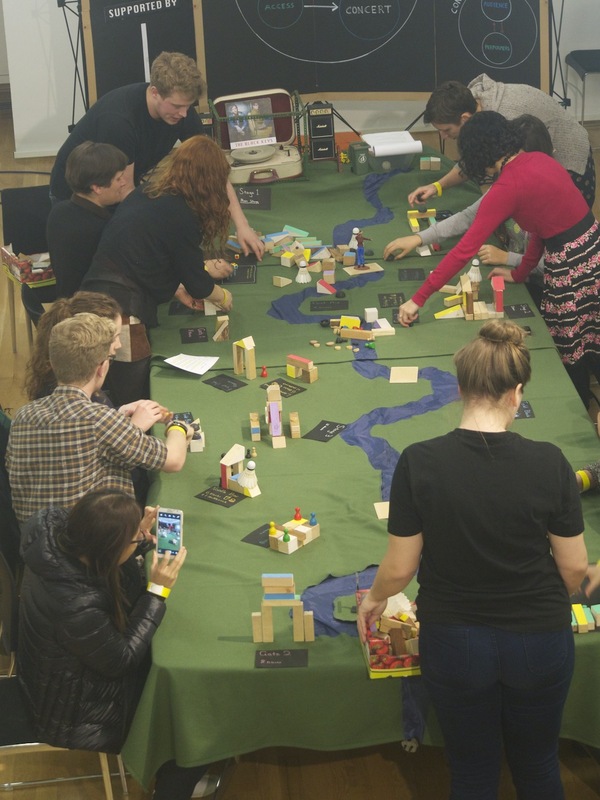 We’re also seeking to begin partnerships with other organisations to develop new interactive tabletop works looking at specific systems. If you’re interested in knowing more, or if you’d like to chat about a possible collaboration, please drop us a line. And thanks to everyone who contributed their support to make this project happen – we’re hugely grateful! Cheers from David, David, Nikki, Nathan and Rachel! Best Festival Ever: How To Manage A Disaster is an interactive theatre performance based on Systems Science that takes place around a table. As human beings, we are surrounded by and embedded within systems, both natural, such as climate and the ecosystem, and human-made, such as the economy or even society as a whole. Many of the significant issues facing us today emerge from the interplay between these two kinds of system. Our decision-making and management systems are frequently based on mechanistic and simplistic representations of the world. Over the last two decades, scientists in the field of Systems Science have gained a new understanding of these issues, creating a toolkit of vital concepts for understanding and grappling with real-world complexity. 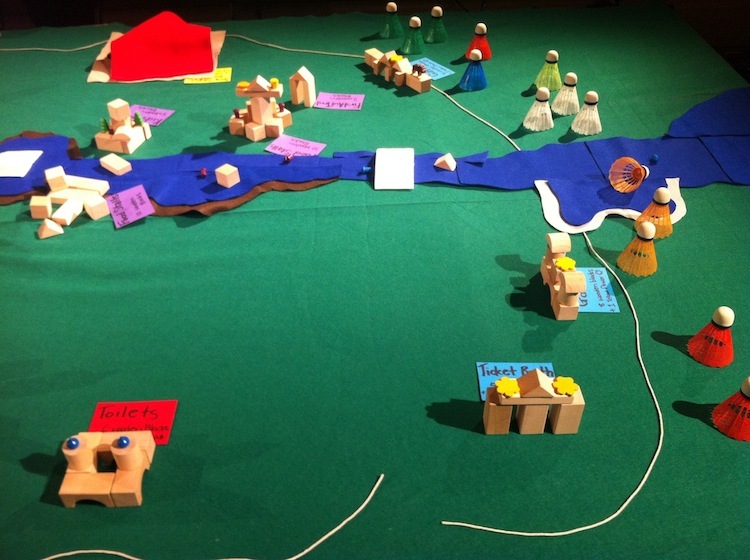 This project brings these ideas from Systems Science to life in a unique theatrical presentation. Part theatre show, part performance lecture and part board game, Best Festival Ever introduces participants to concepts from systems science, using the example of a music festival. 10-25 audience members are seated around a table and placed in charge of a new festival. Through a variety of interactive games, the audience works together to program and deliver their own unique music festival. Over 60 minutes, they move from planning to execution, doing their best to keep the festival and its audience from collapsing into chaos. Responding to the rapidly escalating challenges of the situation requires cooperation, creativity and communication. 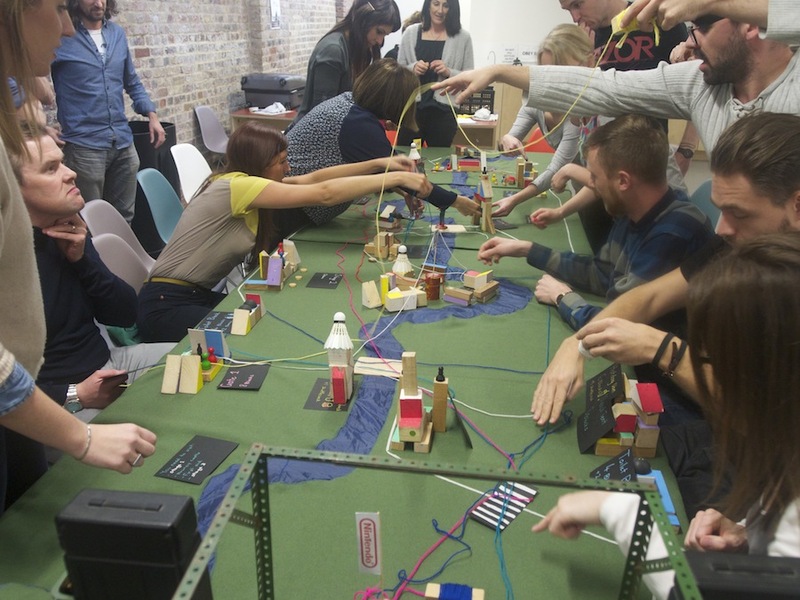 Designed for conferences, meeting rooms, corporate training and theatres, Best Festival Ever offers a fun, engaging and creative way to introduce audiences to the insights and ideas from Systems science. The work draws heavily on our work with climate scientists at the UCL Environment Institute where this work was developed, so underpinning all these elements is a strong focus on the interaction between human systems and natural ecosystems, and in land use management and environmental impacts. Boho Interactive is a science-theatre ensemble from Canberra, Australia. Boho produces interactive performances based on sciences including Game Theory, Complex Systems science and Network Theory, working in collaboration with research scientists from Australia’s Commonwealth Scientific and Industrial Research Organisaton and University College London. 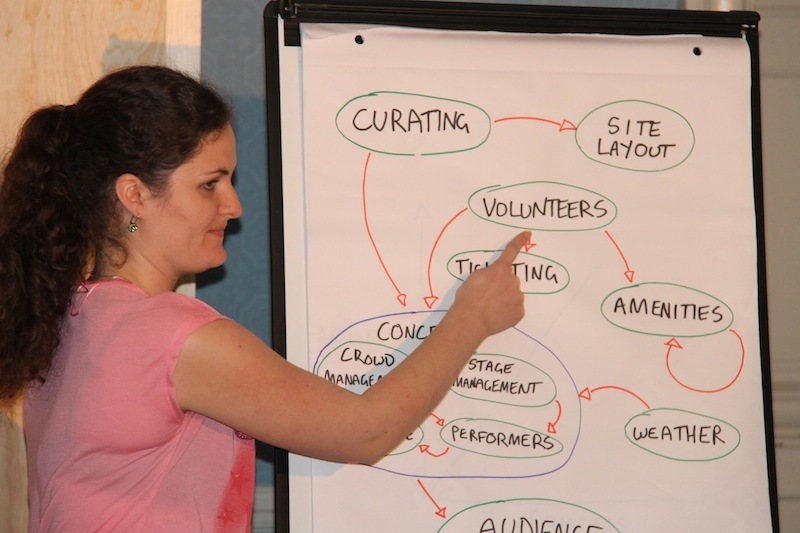 Since 2006, Boho has presented work for the Asia- Pacific Complex Systems Science Conference, Battersea Arts Centre, the Brisbane Festival ‘Under The Radar’, the Powerhouse Museum, the ACT Street Theatre and the Manning Clark House Cultural Centre. Boho is represented here by David Finnigan and David Shaw. For this project, Boho is joined by members of Sydney collective, Applespiel. Active since 2009, Applespiel have developed work for Performance Space, Next Wave Festival, PACT Centre For Emerging Artists and Crack Theatre Festival. 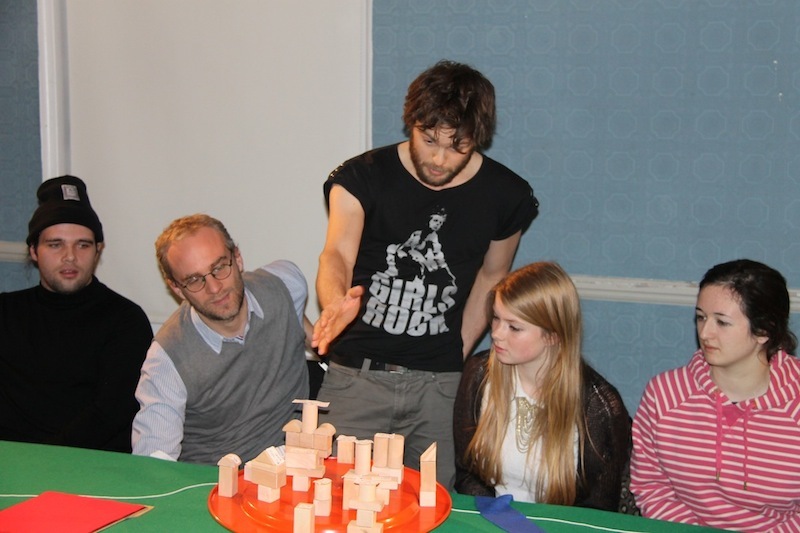 Applespiel is represented here by Nathan Harrison, Nikki Kennedy and Rachel Roberts. Best Festival Ever was developed in 2011-13 through residencies at the University College London Environment Institute, the Battersea Arts Centre and Arts House. This work has been supported by UK theatre company Coney, University College London, Environment Institute, Tipping Point, Battersea Arts Centre, NEDNet Foundation, Arts House and Australia Council for the Arts. We are seeking support to undertake the final development of Best Festival Ever. Working with UK artists Tassos Stevens and Gary Campbell, we need funds to create the final touring set for the show. We are seeking partners to work with us to make this show possible, and who would value the opportunity to see this work presented at their organisation. Acknowledgment of support on website and in all press and marketing materials.